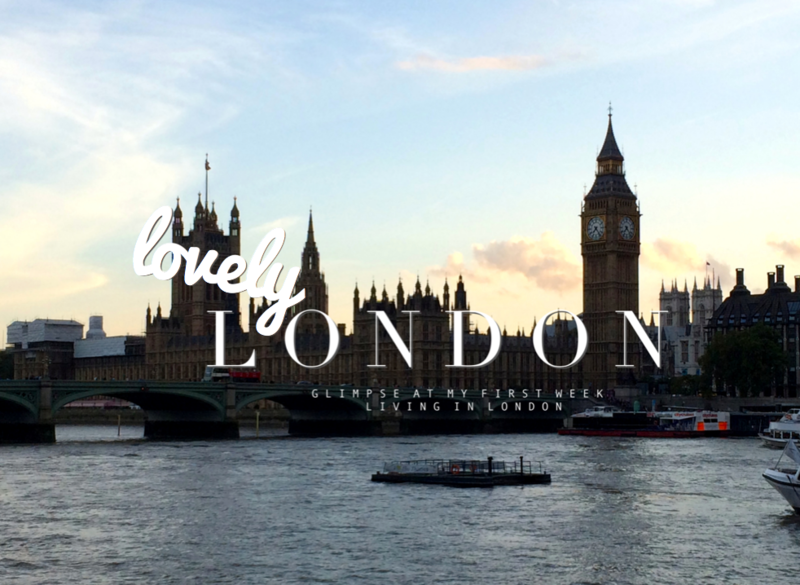 First of all, I went to the glorious department store Liberty. If there wouldn't have been so crazy many tourists, I would probably have walked around the store for the whole day. It's not just their collection, but the whole building that breathes luxury. I love walking around every floor and making a wish list in my head of all the pretty things I want to buy with the famous Liberty print. Yes, one day I will walk out of that store with one of their signature purple shopping bags containing a fancy gift for myself. But that will probably take a while, since I basically have to spent all of my money on rent..
Luckily, not everything in London is expensive. 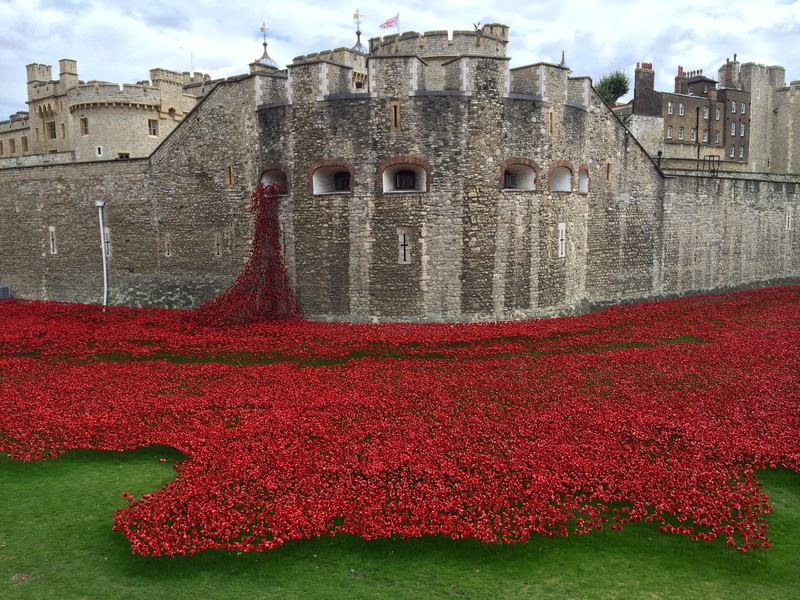 For example, the temporary World War I memorial at the Tower of London is really a must see, for free! 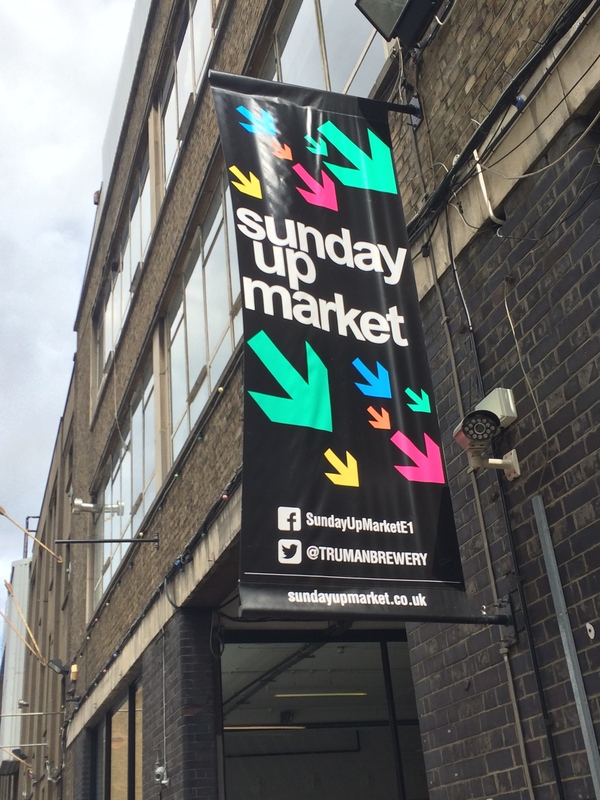 It's there until the 11th of November, so if you're going to be in town before that time, you should definitely go see it :) Another free, and awesome thing to do is go to the Sunday Up Market at Brick Lane. 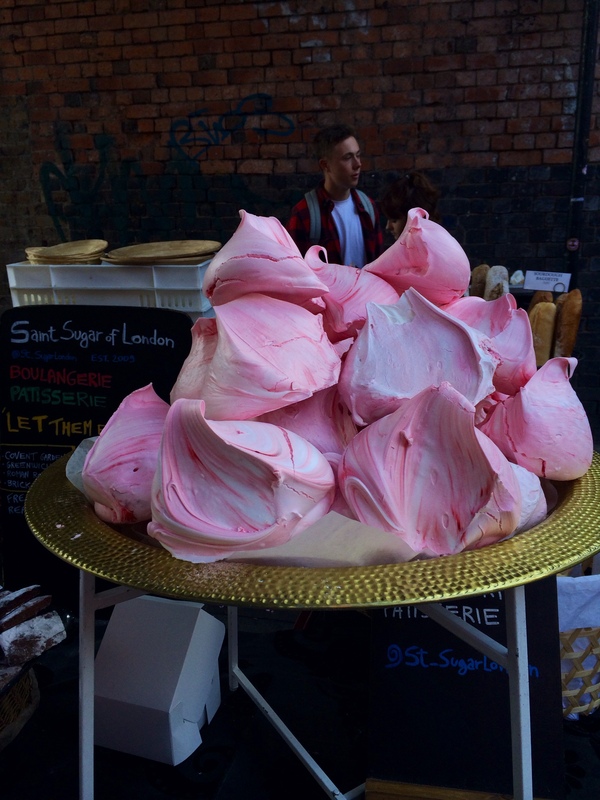 There you'll find a lot of interesting stalls selling clothes, crafts, and food from all over the world. Afterwards, you can relax a bit on the rooftop of the Queen of Hoxton with a real British Pimm's (or any drink of your liking). 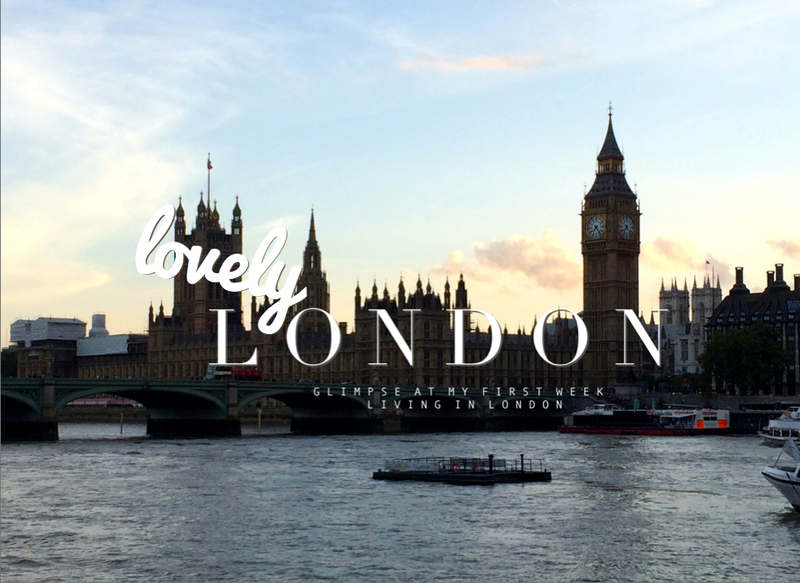 But of course, London has enough to offer for rainy days as well. 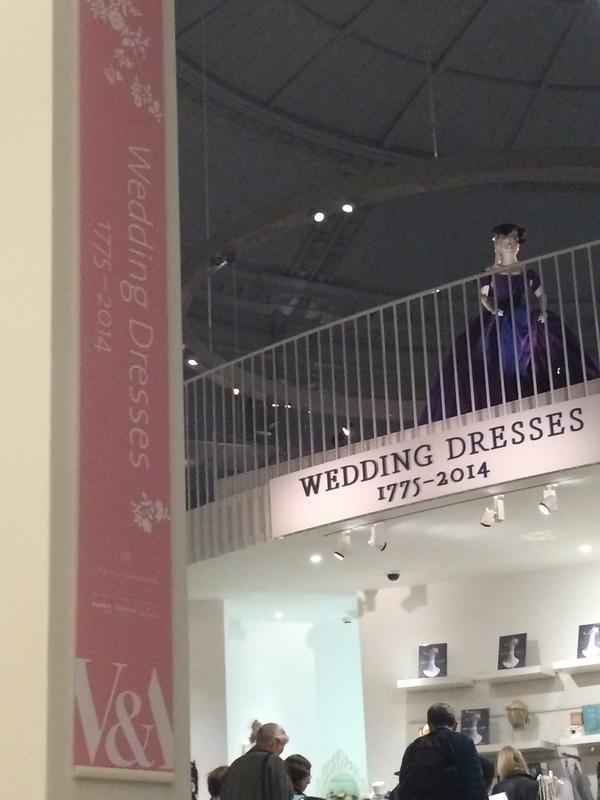 I'm a big fan of the Victoria & Albert museum, where they currently have the exhibition "Wedding Dresses". The collection displayed features wedding dresses from the early 19th century until the dresses Kate Moss and Gwen Stefani wore to their weddings. And their permanent collection is great as well, my favourites are the fashion and jewelry ones. My last visit of this week was to the British Library. I have loved libraries since I was a little girl, so maybe this visit was more exciting for me than for the average person, but I was quite impressed with what I saw. The building itself is not very special, but their permanent collection of 'treasures' is really cool. The library owns, amongst others, original documents from Leonardo Da Vinci, Shakespeare, and The Beatles. I am definitely going back there, and would recommend it to every literature lover.